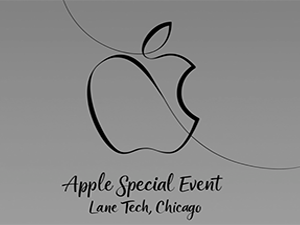 Apple has long been focused on the education market, and recently chose Lane Tech College Prep High School in Chicago to announce an affordable new iPad and share educational news with students and teachers. Click to watch the entire event (just over an hour), an 11-minute condensed version from The Verge, or a 3-minute version from MacRumors. Here’s a brief recap of some of the topics covered. After showing and demonstrating how students and teachers in different locations use the iPad, and how schools that use the iPad demonstrate higher academic performance, a new iPad was announced. The new 9.7 inch iPad, now available, works with the Apple Pencil and ships with the powerful A10 Fusion processor, along with new applications for students and teachers. The new iPad is available now for $329 for consumers and $299 for schools, which includes an increased 200 gigabytes of storage for each Apple ID (student account). 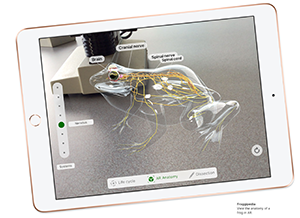 Apple is bringing Digital Book Creation to the iPad, allowing groups of students to collaborate on “books” that can include photos, videos, or even Apple Pencil illustrations using pre-made templates. MacWorld notes, “To usher in the new Pencil support, Apple is also releasing new versions of its iWork apps that bring tools to both consumers and teachers. Among the additions is a version of iBooks Author built into Pages so you can create digital books like on the Mac. Apple will also be adding smart annotation in a future update so you can make up Pages files without ruining your work.” Teachers now also have access to two new free cloud-based applications, the Classroom app and Schoolwork (also available for the Mac). Also announced: the Everyone Can Create curriculum, to be released this Fall, which teaches students to develop and communicate ideas through video, photography, music, and drawing.